Recently I came across an interesting question on Quora, asking what kind of pain makes death look like a blessing? Most of the answers that followed talked about animal bites and terminal ailments. 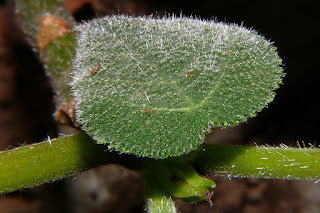 One answer, however, detailed the sting of a rather obscure and unknown plant: the Dendrocnide moroides, otherwise known as gympie-gympie, or suicide plant. When I browsed the online science library for literature, I found only three papers on the subject; one of which was unfortunately locked behind the paywall. Further investigation revealed more, but the number is still considered relatively small, which explains why when typed into google search, you don't get to see a lot of useful articles on the plant. 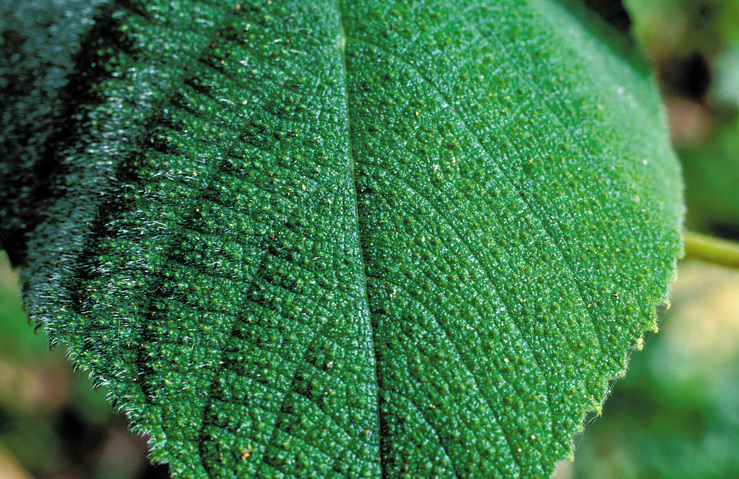 Dubbed "the world's most painful plants to touch", the Dendrocnide sp belong to the Urticaceae family. 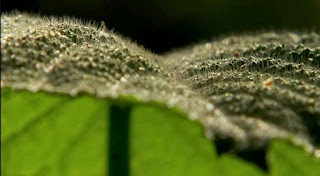 There are about 37 different species within the Dendrocnide genus, which means there are a lot more different species of the same genus that could sting you as you wander around in the forest. Young leaves are densely covered with stinging hairs—made up of silicon/calcium—while older leaves have less hairs. 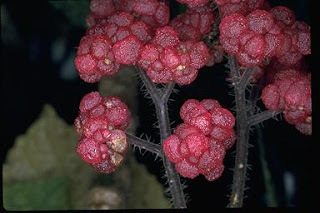 6 species of Dendrocnide can be found in Australia, with the rest spreading across Southeast Asia and Papua New Guinea. The potency and longevity of its sting have been published since the middle of 19th century. In 1860, a scientist described how horses that had been stung had to be rested for several days before they could be used again. If severely stung, livestock and horses could die and if not, could become violent and have to be shot. When touched, the stinging hairs—microscopic in size so you can't see them and so they become difficult to remove—penetrate the skin, break off, and release toxins that contain Moroidin, an octapeptide constructed exclusively from L-amino acids that could cause intense pain, sweating, and piloerection. According to ecologist Marina Hurley, the pain from the sting is “like being burnt by hot acid and electrocuted at the same time”. Oh and did I tell you that the pain could last for months? Or even years? So what, you might say. I just have to watch out when I walk in the forest and not to touch the plant when I see it, right? Uhmm no. Not touching the plant does not keep you safe from its stings. 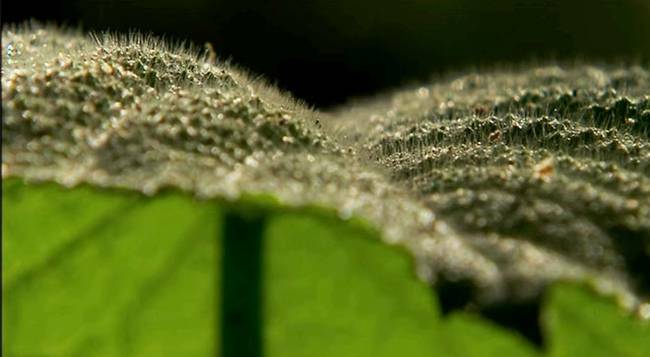 Because the plant continuously shed its stinging hairs, standing in the vicinity of the plant could trigger intense bouts of sneezing and nosebleeding, and some might even get into your eyes, and that could become reallyyyy nasty. Despite all the negative vibes surrounding the plant, there had only been one account of human death by the plant, and it didn't happen in Australia. In 1922, a man in New Guinea died after stung by the leaves of another species, Laportea condata. In 1955, a report detailed a man who fell unconscious after falling onto a stinging shrub (ouch!!). There are numerous reports on the internet of people killing themselves to escape from the pain of the sting, but those are without any backup report and thus most likely fake. One legend tells the tale of how during the late 1960s, the British Army collected samples of the stinging tree for use as a chemical weapon. Nothing has been heard since then. Fortunately though, the fruit of the plant is edible. But first you'd need to brush the hairs off the fruit. This was a really informative post for me and i am sure it must be for all those who viewed this. Thanks for sharing it with us and posting it online. And lets stay away from these plants.